In this age of explosive technological advancement, it is refreshing to find written works that may slow the pace, yet not diminish the excitability of our heavenly Father's written word. Such is found in the capable writings of Dr. Althea M. Brown. 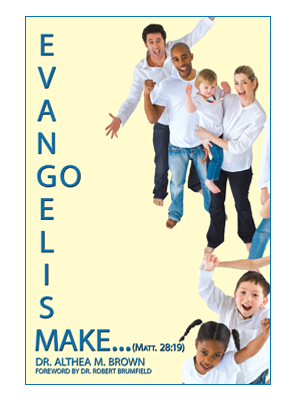 She offers a trilogy including Evangelism: Go Make.... (Matt. 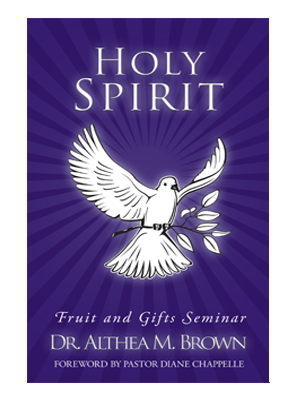 28:19), Holy Spirit: Fruit and Gifts Seminar, and Praise and Worship: Heaven’s Street Address. 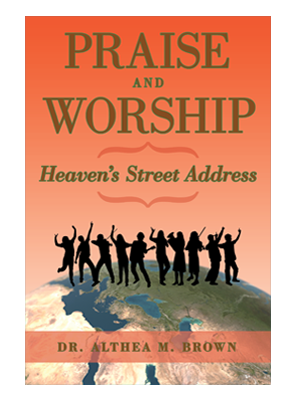 Each of these works draw the reader into a depth of clarity in understanding the fundamental influences that help shape the young born-again Believers, as well as, refresh those who have been on the journey for an extended season.